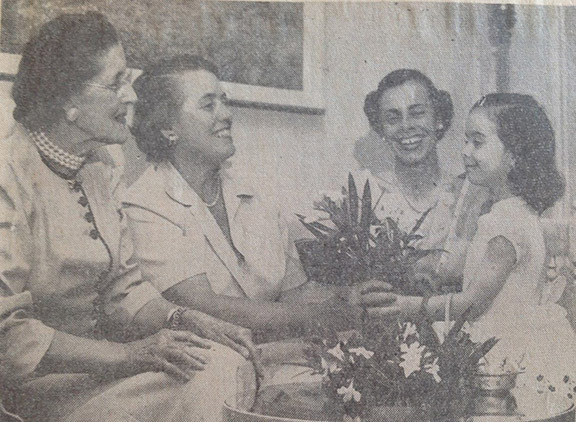 In 1924, eleven women organized the Junior League of San Antonio, Inc. (JLSA), with a vision of making a difference in the lives of women and children in San Antonio. Ninety-five years later, the JLSA has contributed over a million hours to the community, which translates into approximately eighteen million dollars worth of volunteer hours and over seven million dollars invested into projects in the community. The JLSA has made its mark in San Antonio through a number of organizations and community projects. The JLSA is a member of the Association of Junior Leagues International, Inc. (AJLI). Comprised of 292 Junior Leagues in four countries, AJLI has been providing support, guidance and leadership development opportunities to member Leagues since it was created in 1921. AJLI strives to unite all the Junior Leagues; provide continuity and support; and serve as a steward for the Junior League Movement. Today, through regional, national, and international meetings, comprehensive resources and customized consultations, the AJLI adds value to member Leagues in their fulfillment of the Junior League Mission. Please click here for a list of our past presidents. Click here to read more about the history of The Bright Shawl.